The last time I made monkey bread was a yeasted pumpkin monkey bread for Cooking With Pumpkin. It tastes amazing but takes awhile and it’s on the fussy side. This monkey bread also tastes amazing, is ready from start to finish in about 45 minutes, and isn’t at all fussy. Anyone can make it. No yeast, no waiting, no dough to roll, no mixer, and so easy. It’s perfect for your Easter celebration, a lazy weekend morning, your next brunch, or an easy weeknight dessert. Check out more Easy Weeknight Dinners and Desserts and for Easter inspiration, check out the Bisquick Hub Page. I used Original Bisquick™ Mix to make the dough along with ingredients you probably already have on hand. After stirring together the dough in literally 30 seconds, I formed dough mounds using a 2-tablespoon cookie scoop. Scooping is much faster and less messy than using my hands. After baking I drizzled the monkey bread with salted caramel. Your family and friends are going to love this monkey bread. Who can resist tearing off soft, warm, fresh chunks of bread with a cinnamon-sugar coating and caramel sauce. The monkey bread tastes amazing, is ready from start to finish in about 45 minutes, and isn’t at all fussy. No yeast, no waiting, no dough to roll, no mixer, and so easy. It’s a perfect dessert for holiday celebrations, lazy weekend mornings, brunches, and weeknights. After baking I drizzled the monkey bread with salted caramel. 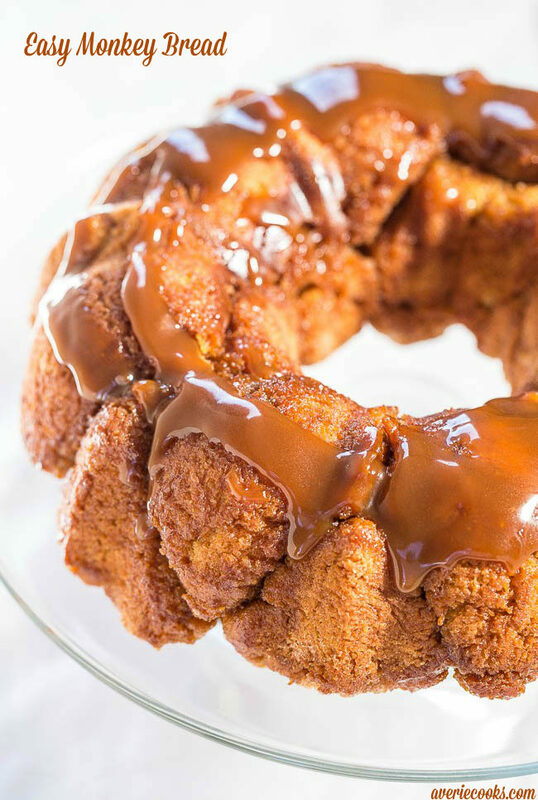 Your family and friends are going to love this monkey bread. 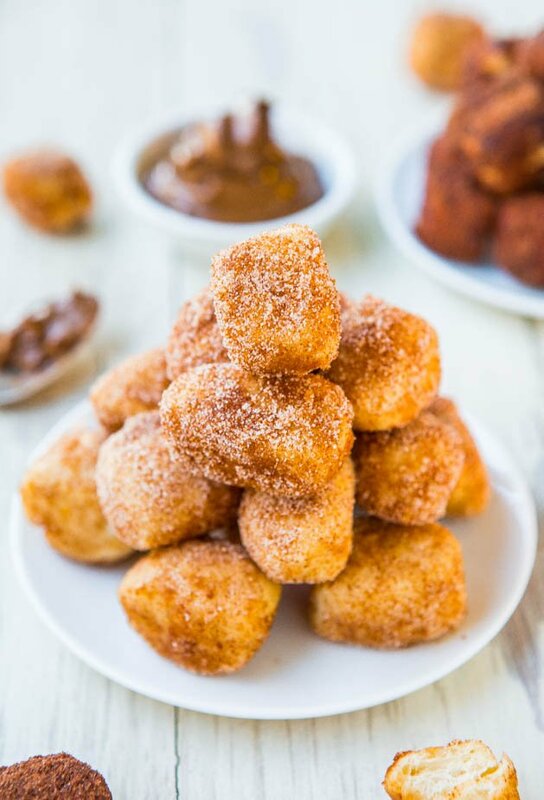 Who can resist tearing off soft, warm, fresh chunks of bread with a cinnamon-sugar coating and caramel sauce. Preheat oven to 350F and spray a 12-cup Bundt or fluted tube cake pan very well with cooking spray, floured cooking spray, or grease and flour the pan. Make sure to get all the nooks and crannies, including the center tube; set aside. Cinnamon-Sugar Coating – To a small bowl, add the sugar, cinnamon, stir to combine; set aside. Dough – To a large microwave-safe bowl, add the butter and heat on high power to melt, about 1 minute. Add the remaining dough ingredients (except the caramel sauce) and stir to combine. If necessary, add a tablespoon or two of extra Bisquick, or as necessary, so dough isn’t overly sticky. Using a 2-tablespoon cookie scoop or your hands, form approximately 22 to 24 mounds of dough, roll each mound through the cinnamon-sugar mixture, and place in prepared tube pan, filling it evenly. I used a 2-tablespoon scoop and made 22 mounds. After placing all mounds in pan, it looks very skimpy but the dough rises dramatically in the oven. Evenly sprinkle any remaining cinnamon-sugar over dough; set aside. Sauce – In a 2-quart saucepan or similar, melt 1 cup butter. Stir in the brown sugar and heat to boiling over medium heat, stirring constantly. Boil 2 minutes; remove from heat. Pour sauce over dough balls in pan. Bake for about 22 to 28 minutes or until a toothpick inserted into the center of one of the larger mounds of dough comes out clean or with a few moist crumbs, but no batter. Allow monkey bread to cool in pan for about 10 minutes on top of a wire rack. Place a large plate over the top of tube pan and invert to remove monkey bread from pan. Optionally, evenly drizzle with caramel sauce prior to serving. Monkey bread is best warm and fresh, but will keep airtight for up to 3 days. 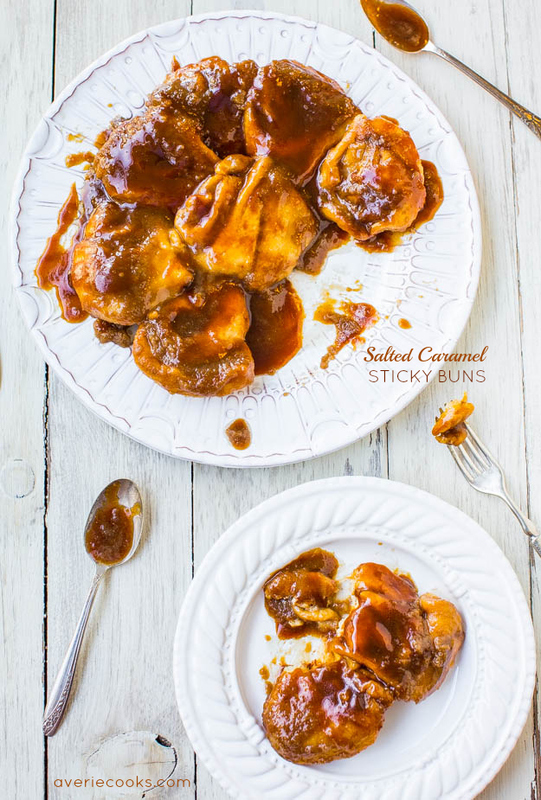 Salted Caramel Sticky Buns – The easiest stickiest buns ever & ready in 30 minutes! Drenched in salted caramel for maximum sticky-ness! Cinnamon-Sugar Crust Cinnamon-Ribbon Bread – Even picky eaters who want the crust cut off will go nuts for this sweet, slightly crunchy crust. The interior is so soft and fluffy! 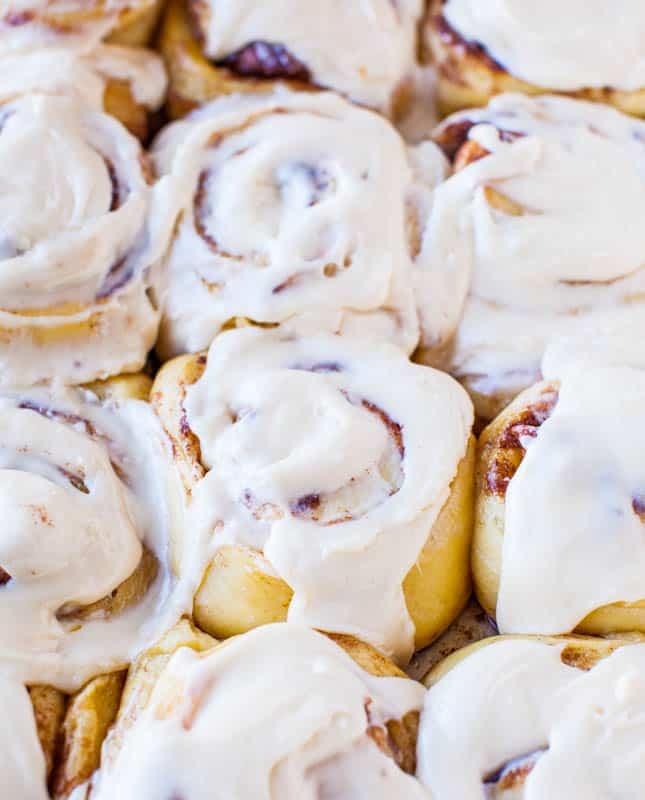 One-Hour Homemade Cinnamon Rolls with Cream Cheese Frosting – Make soft, light, fluffy cinnamon rolls from scratch in 1 hour! One-Hour Chocolate and Cinnamon-Sugar Soft Pretzel Bites (vegan) – Make your own soft and chewy pretzel bites in an hour! You won’t believe how easy it is! 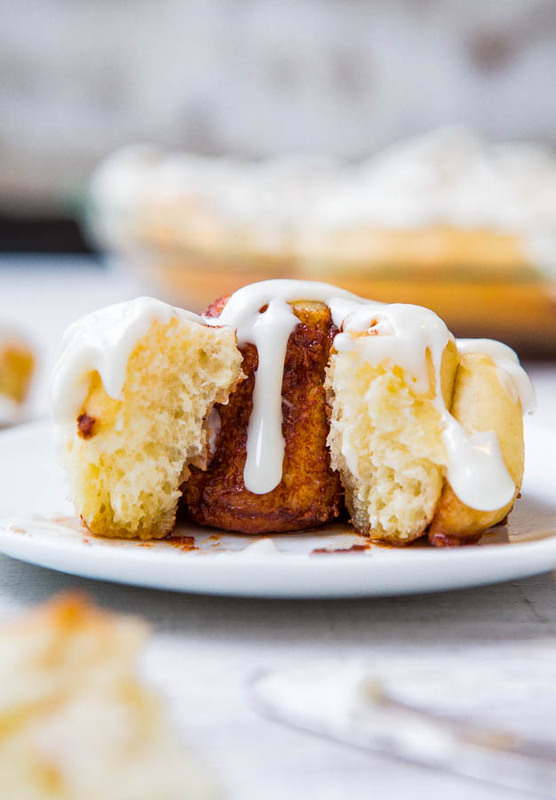 Overnight Buttermilk Soft and Fluffy Cinnamon Rolls – For soft, fluffy, pillowy, perfect cinnamon rolls, it’s the best recipe I’ve tried and my go-to! A reader favorite, too! 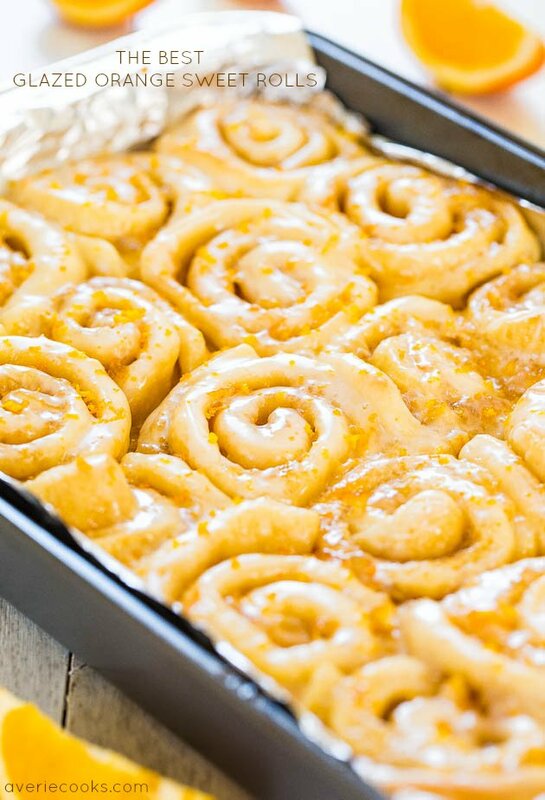 The Best Glazed Orange Sweet Rolls – The softest, lightest, and most irresistible rolls ever! Try them and you’ll be a believer, too! This is a sponsored conversation written by me on behalf of Betty Crocker via Burst Media. The opinions and text are all mine. Post is brought to you by Bisquick. The recipe, images, text, and opinions expressed are my own. #GetYourBettyOn Check out the Bisquick Hub Page for more recipe inspiration. I just love monkey bread, its been a couple of years since I had it. And the salted caramel topping sounds amazing! Oh, don’t tell me that monkey bread can be so easy to make! I’ll make it and then eat it all and then have to run extra miles super fast! Aw heck, it’s worth it. And putting more sauce on top should not be optional. Salted caramel just makes life better. Macarons are terrifying to me too! I have tried many times to nail them…never can. Almost, but not quite. This bread is like the polar!! opposite of macaron making! I loved biscuits drizzled with butter and honey as a kid so I know I’d love them with cinnamon and caramel sauce..salty, sweet and gooey. 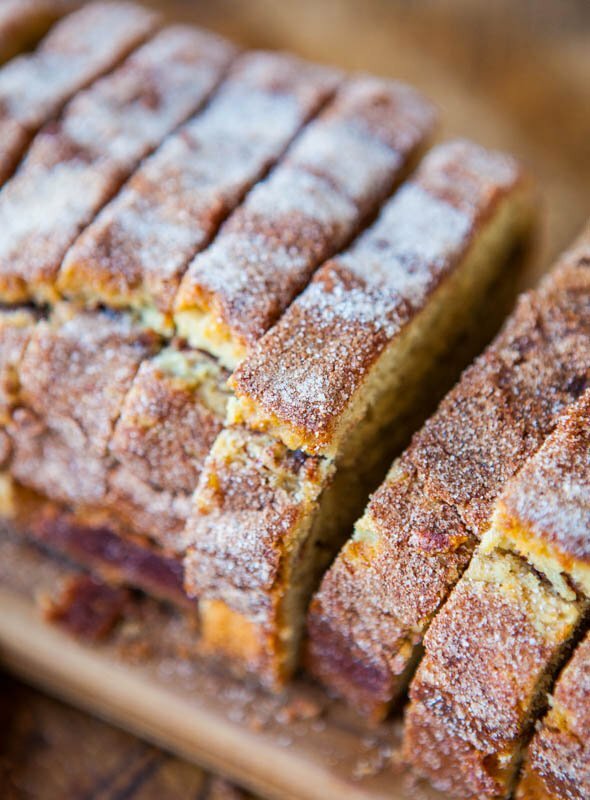 This looks incredible and easy too–gotta love a good shortcut in the kitchen! 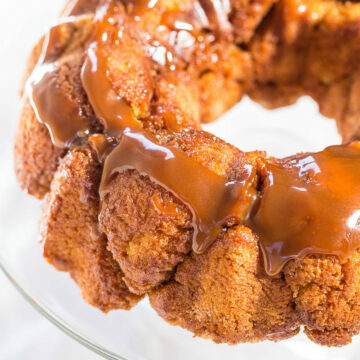 I love monkey bread…it’s one of the first things I remember as a kid being allowed to eat with your hands which made it a “fun” food right away…not to mention that it’s called Monkey bread…this always brings back great childhood memories. Ever since the Christmas my sister made monkey bread (with the canned biscuits), my family has been obsessed, but I prefer the idea of making the batter yourself (shortcut included) and that caramel???? Swooooon. Okay 1. GENIUS. I can’t believe you used Bisquick for this. My mind is blown. Can’t wait to see your Sunday post and my mind was blown too with the Bisquick because the dough when you put it into the Bundt pan looks very small and unlikely to really turn into monkey bread, but oh boy, that stuff rises like a champ! Oh my gosh I cannot believe how easy this looks! I crave monkey bread all the time but we never have the canned biscuits on hand. But who doesn’t have bisquick on hand?! This is so perfect! Great idea! 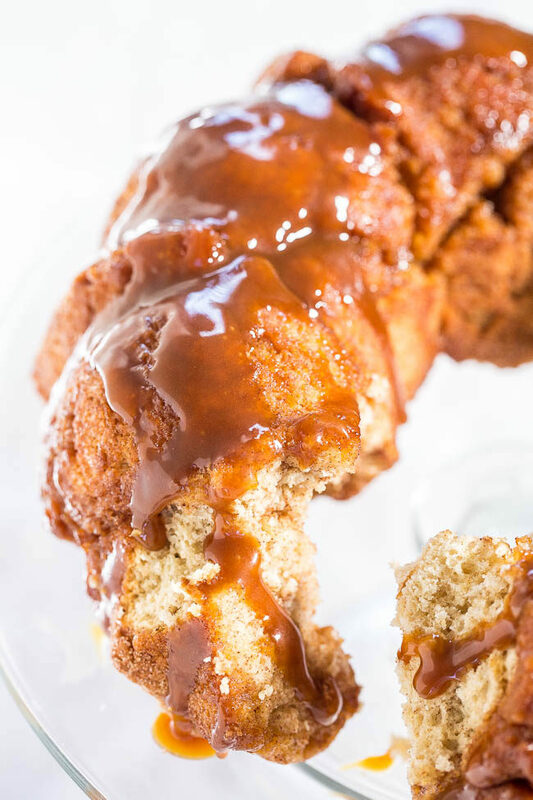 I don’t know what I like better about this monkey bread: the no-fuss dough or the dripping caramel glaze! It’s gorgeous! Pinned! Monkey Bread is one of my favorite treats ever! I’ll have to try this because I’ve never actually made it myself before! Yumm! Monkey bread is the best and this recipe looks wonderful! its a monkey bundt bread!!! you are just one craft woman with a hell of a lot of skill! you’ll always find me drooling over here <3 and who would have thought it just needs bisquick! cool! Wow! This looks sooooo good!!! OMG, the pictures are soo good that I can almost smell and taste them. They sound and LOOK so good, I’m gonna try these. Thanks for the recipe. Now THIS is a force to be reckoned with. Homemade Monkey Bread is something I’ve been dying to try. Your recipe looks totally goof-proof and I cannot get over that caramel sauce on top. Pinned! This is my kind of monkey bread. I love that there is no yeast and waiting time. Yes, for the next lazy Sunday morning. I haven’t made monkey bread in years, but that’s mainly because it’s too darn dangerous! Somehow my guy is immune to all of that cinnamony sugary goodness, so I’m left to eat the entire pan… By myself. And as much as I hate to admit it, that’s pretty easy to do! ;) I LOVE (but my waistline hates) your easier version, especially the tip about the cookie dough scoop! That monkey bread looks good! I have never heard of monkey bread before(but I am an Aussie. ), it looks delicious. Which brings me to a question, what is Bisquick mix? Is it a biscuit/scone mix? I try to make everything from scratch, so won’t be buying a pack of anything, but if I know what it is I can probably work out alternate ingredients. Flour, baking powder, baking soda, salt are the main things and I’m sure you can google it and go to their site for more info!